This College is accredited by NAAC A (National Assessment and Accreditation Council) validity is 18 Jul 2022 and the score is 3.29 . Joyful life.v good in placement. encouraging professors, staff .and staff. advance infrastructure. the college trains students both in technically and theoretically.it also encourage students in sports .one among top Pvt college in India. hostel food is best.the college atmosphere is very good .wide campus. 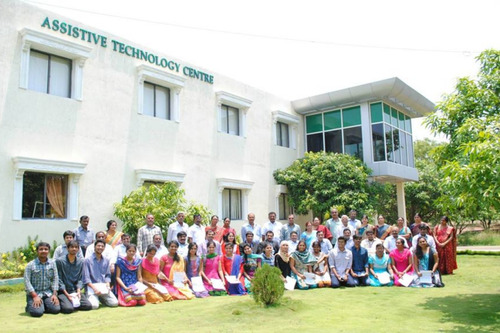 Every student joins the college with many dreams and expectations, our college is well equipped to fulfill meet them. "Exuberant environment keeps people active". Our college garden with a lake beside it greets us everyday and gives us a lively break.Our college offers eight areas of specialization including ECE,CSE,IT,MECH,CIVIL,CHE,EEE and BME. Every branch has it's own uniqueness in grooming their students.As, I am from Electronics we have different special labs like Robotics,Embedded systems,Texas Instruments etc which are not part of curriculum to makes us Industry ready.Our college have a library that have plenty of books,novels,research papers and magazines and so on for the students of different tastes. Apart from curriculum, we have different clubs for Extra-Curricular activities like Photography club, English Readers club, BBC Learning English etc to enrich skills and cultivate new hobbies.Placements are the meagre results of all the above efforts.Nearly 50 companies including Multi National Companies like Jhondeere,Tech Mahindra,TCS,Capgemini,NTT Data,Deloitte, Zoho etc visited our campus and recruited in large numbers. Finally, it is a perfect platform to shape our career in a successful manner. Last year around 95% of seniors were placed in different companies. The highest salary package is 6L and low package is 3.5L. Altogether, placements are good. 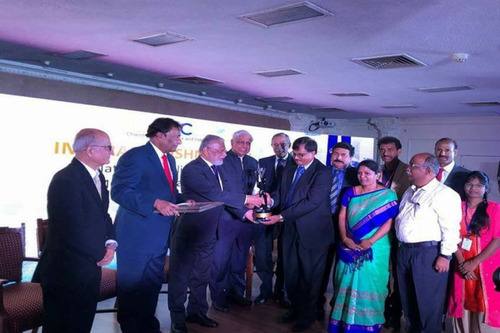 Companies like TCS Tech Mahindra CA Technologies, Deloitte and a lot more. Nearly 50 companies visits BVRIT. Good infrastructure with wi-fi enabled campus. Labs are perfect with good equipment and classrooms are big and very convenient. Sports and games (indoor and outdoor), good medical facilities. The college provides good nutritious food and it's hygienic. The faculty is good. The members are very helpful in any case. For us, they are available in any situation like exams etc. The faculty to student ratio is 1:60 and we are presently autonomous, so our course is good as it is prepared by the college. The course curriculum is useful and we have industry visits too. Former NIT Trichy director, is the director of BVRIT. He aims at taking BVRIT to a new level.This college provides great opportunities to develop yourself. Though far from the city, it's worth to travel long distance and study here. Biggest campus in Telangana after BITS Hyderabad. Great Infrastructure, Faculty, peaceful environment. I personally feel that one who didn't make into national institutes, should join BVRIT because it's developing rapidly. How many marks should I get in EAMCET for ceat in B.V.R.I.T engineering college? Is there any transportation. Facility??? This College is accredited by NAAC (National Assessment and Accreditation Council) A validity is 18 Jul 2022 and the score is 3.29 . Boys Hostel :Excellent hostel facilities have been provided for the students. At present, there are two separate hostels for boys students. The campus has accommodation available for about 500 boys and new buildings are under construction to facilitate more students from this academic year. Both the hostels have water heating facility, chilled mineral water and recreational facilities. Girls Hostel :Excellent hostel facilities have been provided for the students. At present, there is one separate hostel for girl students. The campus has accommodation available for about 200 girls and new buildings are under construction to facilitate more students from this academic year. The hostels have water heating facility, chilled mineral water and recreational facilities. Medical/Hospital :This facility takes care of the medical requirements of the staff and students with the help of a well experienced and qualified doctor, who is available at all times on the campus. Regular medical checkups for the students and staff are organized. Gym :A Gym has been established with Ultramodern equipment to provide the facilities for Day scholars as well as for the hostelers and staff members who stay on the campus. Library :The Institute has established a spacious Library &amp; Information Centre in the Saraswati Block with an area of 1030 Sqm.It is divided into different sections like Stack area, Reading room, Reference Section, Digital Library, Audio Visual Section, Technical Processing Section, Periodical Section &amp; Reprographic Section, etc.It is having the collection of 67214 volumes.It is subscribing to more than 9541 + online e-journals like IEEE, Springer (CIVIL &amp; MECH), Elsevier (CHE), J-Gate (Engineering &amp; Technology), J-Gate (Social and Management Sciences), DELNET/NDL &amp; 245 (Print) Indian &amp; International Journals &amp; Magazines.It has been automated House Keeping Operations by using SOUL Software. Established Digital library for E-resources of Information and Communication Technology (ICT). Sports :Sports at BVRIT are an integral part of the curriculum for physical fitness, character building and development of leadership qualities .confirming the reputation as one of the best sporting institutes in the state, BVRIT offers extensive facilities for sports and games. The institute maintains excellent grounds for cricket, volleyball, basketball, lawn tennis, track and field events.Indoor facilities like caroms, chess, table tennis, badminton, are also maintained. BVRIT students represent JNTU cricket, volleyball, basketball teams and athletics. We take great pride in proclaiming that the institute‘s volleyball team has won the JNTU VolleyBall, the team has won the JNTU Volleyball tournament consecutively for three years. BVRIT has also emerged winners at JNTU zonal level throw ball and basketball in 2007. Cafeteria :The management maintains very spaciously, hygienic and well-stocked dining halls. The food is cooked using steam cooking technology. The hostel student committees decide the menu at regular intervals. Many fast food hubs are available for the students in addition to the existing mess provision. The quality and the hygiene of the food served are regularly monitored by the hostel management committee. Auditorium :The college has a 600-seat auditorium inaugurated by former president of India, Dr A. P. J. Abdul Kalam. 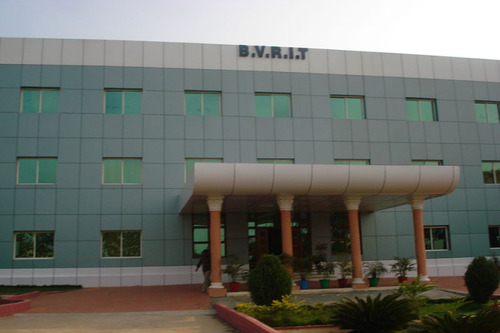 Transport Facility :BVRIT has located around 50 Kms away from Hyderabad at Narsapur, Medak (District). One can reach only by road. 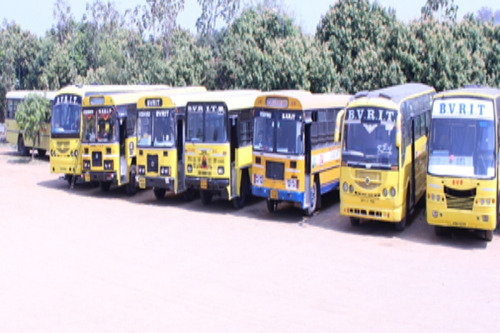 More than 55 college buses are plying from various corners of Hyderabad, from Sangareddy, Medak, etc. 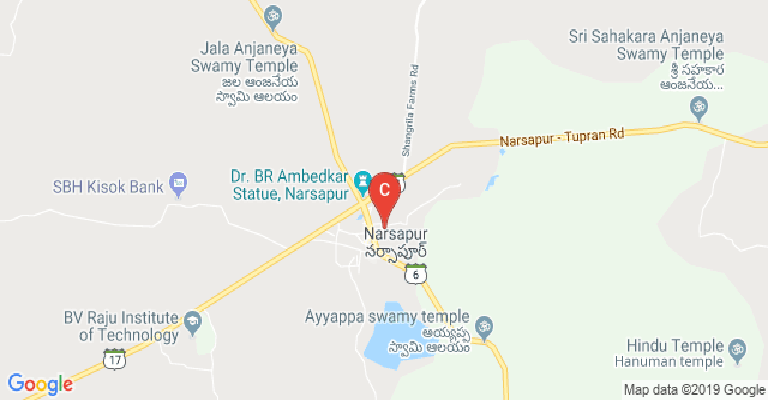 If anyone is commuting by a TSRTC bus they have to board the buses at Jubilee Bus Station, bound to Narsapur, Medak and Bodhan. 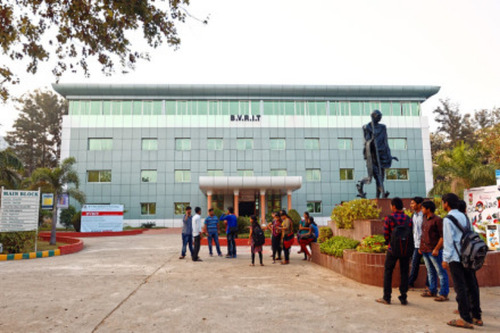 Alumni Associations :To build its network, and to keep a connection with its graduated students, BVRIT started an Alumni Association in 2002 called the BVRIT Alumni Association (BAA). In 2008 the BAA started its own website developed by CSIT 2008 matriculated students. Classrooms :BVRIT believes that technology-usage skills are developed in the students in a professional environment offered by the e-classroom. Students become familiar with knowledge-management skills, necessary to survive in an increasingly knowledge-centered workplace. BVRIT has introduced an active learning atmosphere through the state of the art e-classroom facilities. The students and faculty use computers for a regularly scheduled class. This classroom is used to develop communication skills, helping the students to participate in team-based projects, among others. Banks/ATMs :SBH Extension Counter - The State Bank of Hyderabad, Narsapur Branch, has facilitated an extension counter for the convenience of the staff and students.